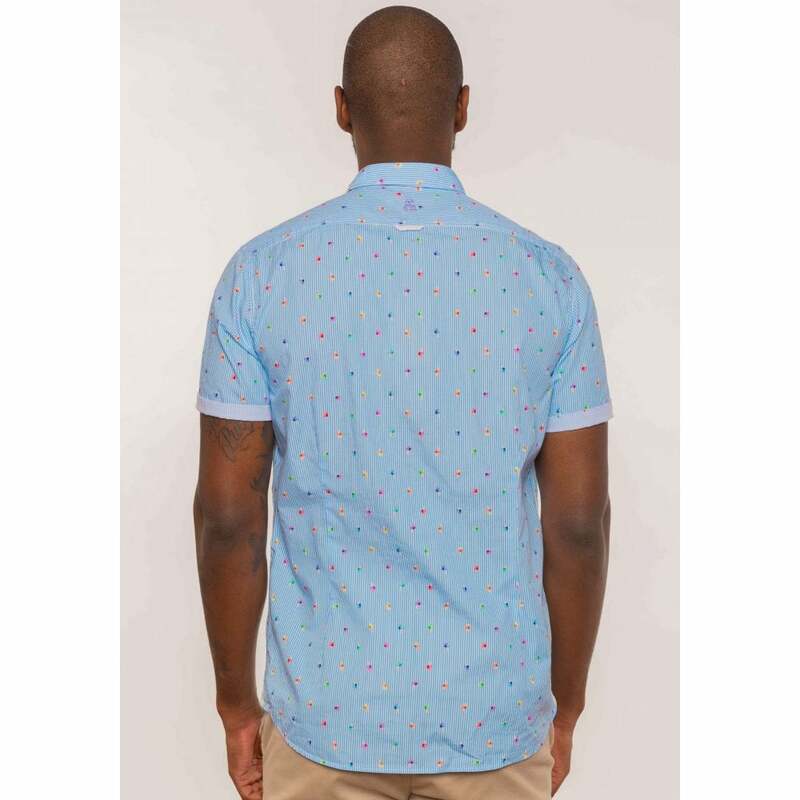 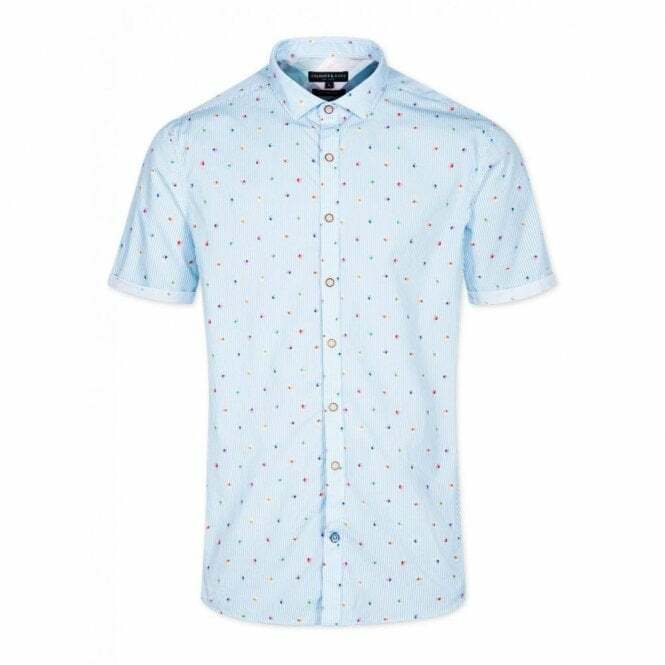 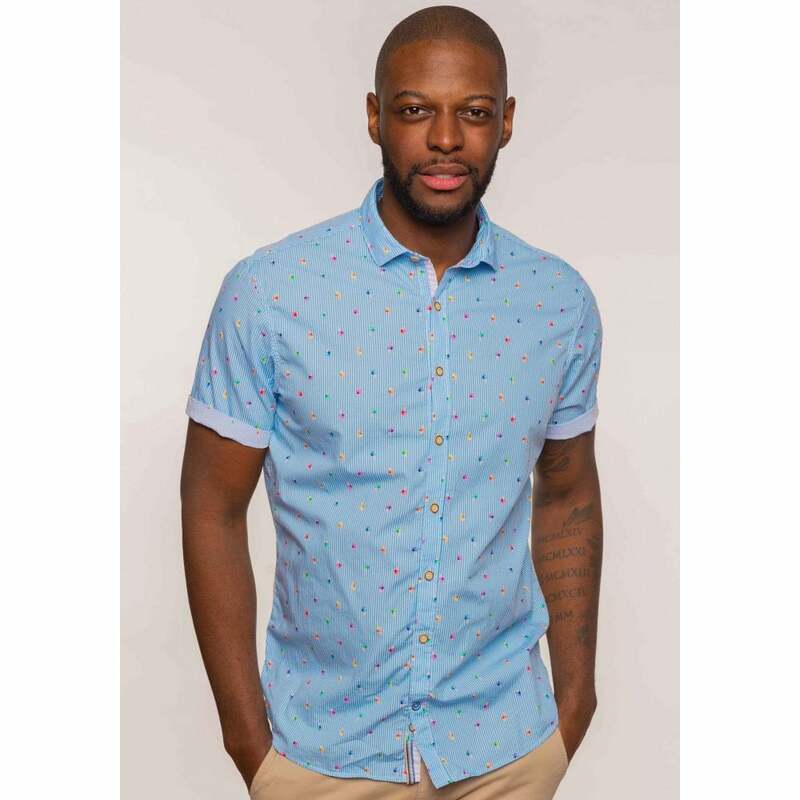 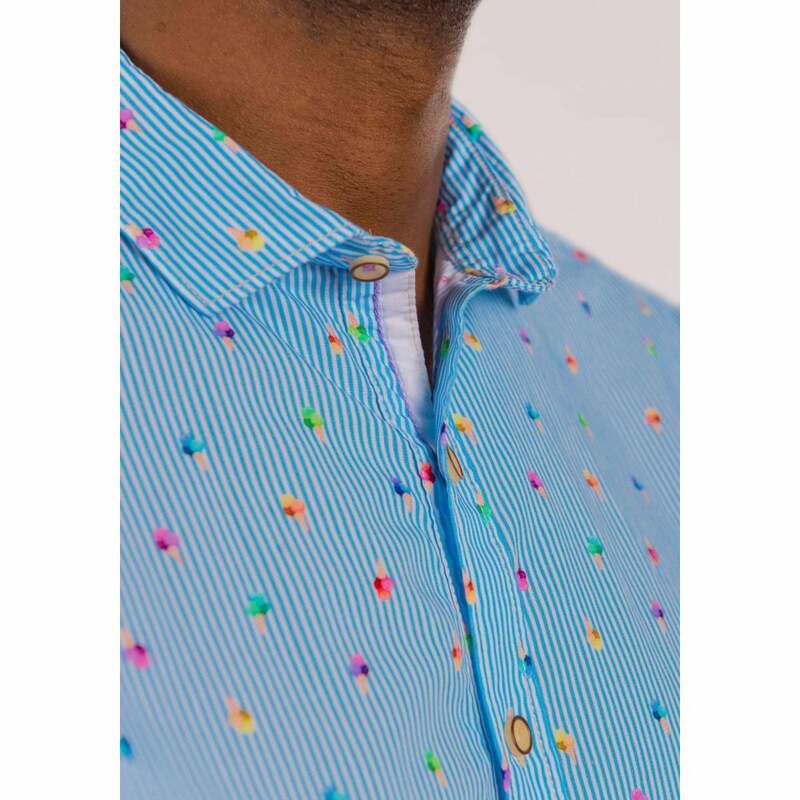 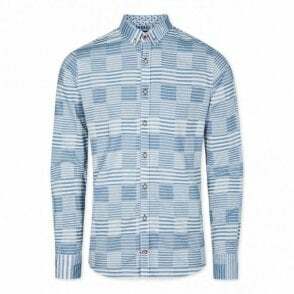 The print is a combination of a classic light blue stripe and a minimalist ice cream allover print that turns the shirt into an optical highligth. 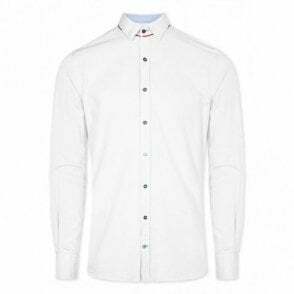 The sleeves are battered which gives the shirt its modern and casual look. 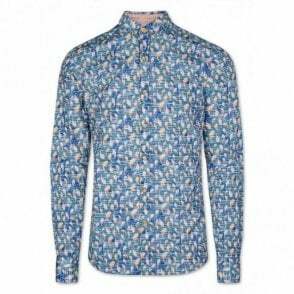 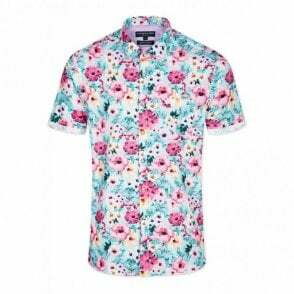 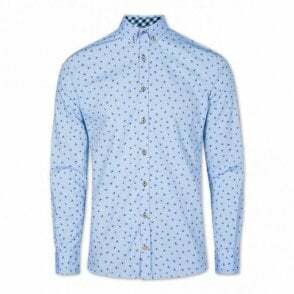 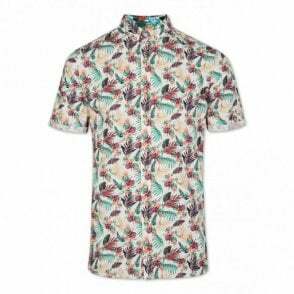 Combine the shirt with jeans or modern pleated trousers.